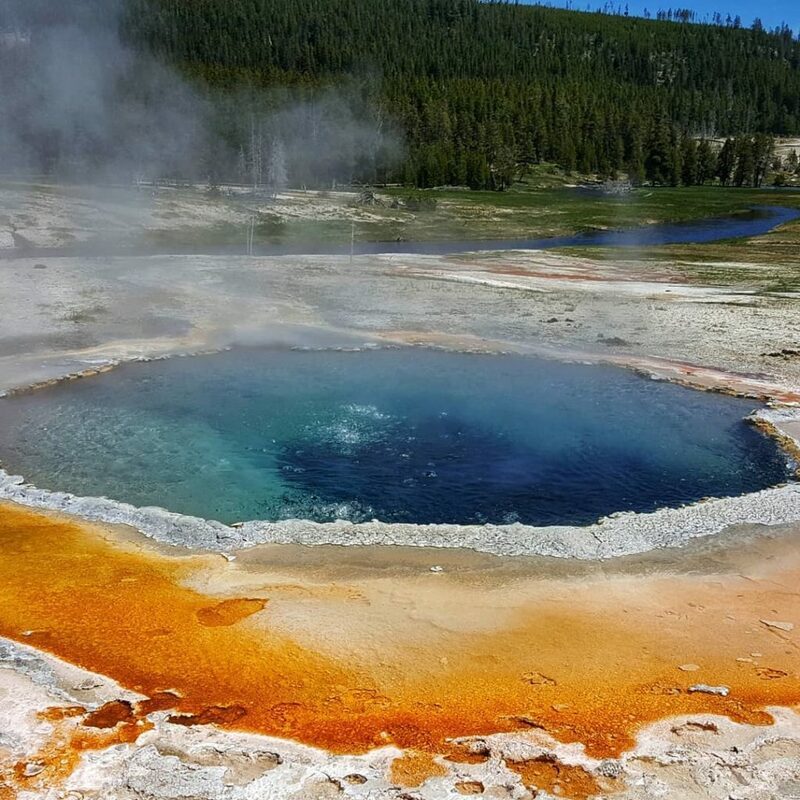 After Rocky Mountain National Park, we headed to Yellowstone National Park. It was about a 10-hour drive so we decided to get a hotel room in Casper, Wyoming on the way there, and catch up on laundry while in Casper. After a restful night at the hotel, we drove through the beautiful Grand Teton National Park to get to our campground inside Yellowstone. 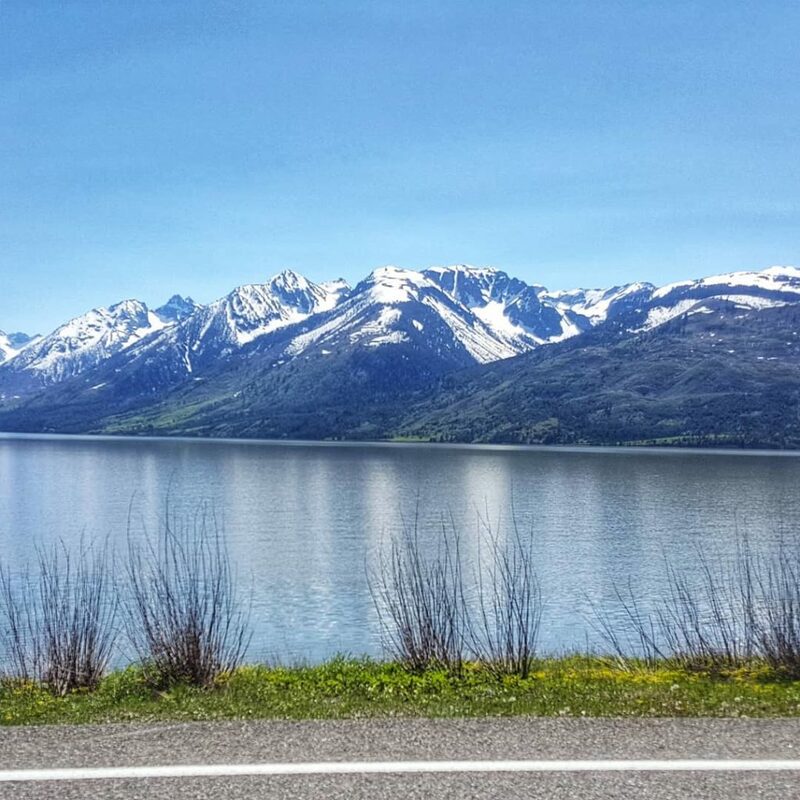 The Teton mountains were gorgeous! 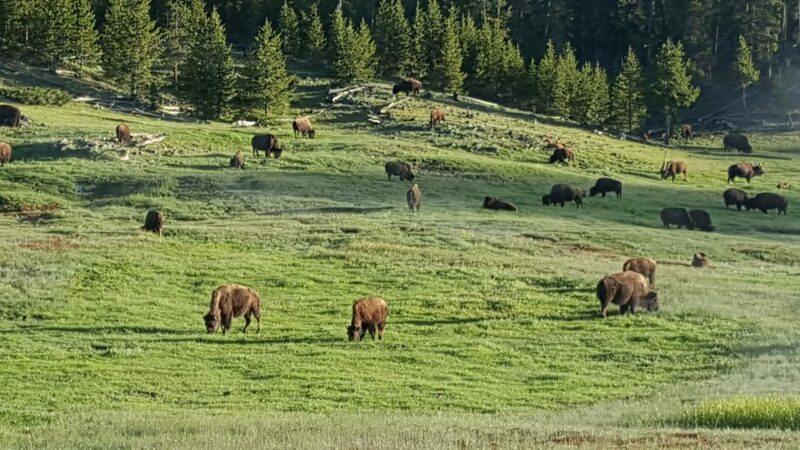 Immediately upon arriving at Yellowstone, we experienced the famous traffic-stopping Bison. 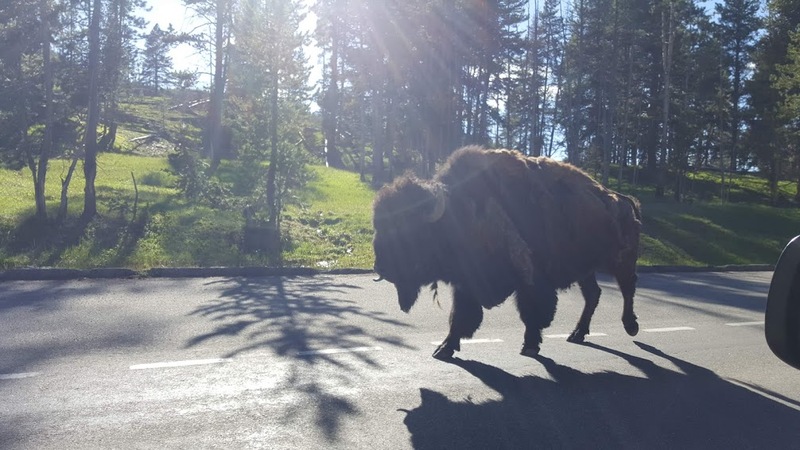 It’s crazy, these enormous animals can easily turn your 1-hour drive into a 3-hour drive when they decide to walk in the road, and you just never know when they’re going to be in your path. Yellowstone is HUGE (2.2 million acres to be exact, or 3,472 square miles) so the Bison forced us to be flexible with our excursion-planning. Upon arrival, we went through our normal day 1 ritual: Set up the rooftop bed, cook dinner, review campground map, plan the next day’s events. 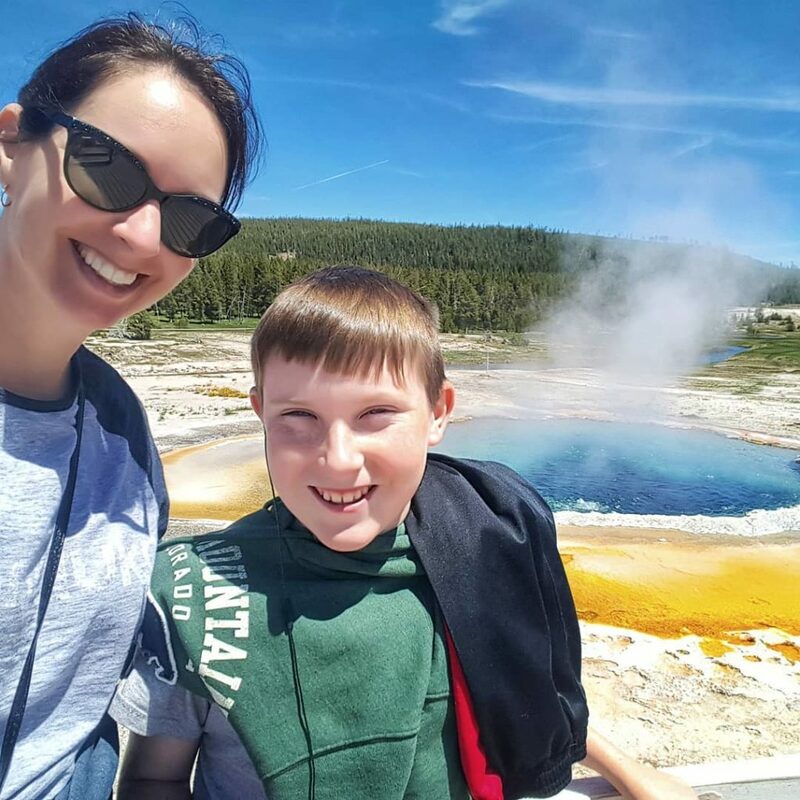 Yellowstone was VERY cold at night (freezing temps), but warm during the day – we experienced about a 50 degree difference between day and night! Fortunately, we purchased sub-zero sleeping bags earlier in the trip, so we were prepared for the cold. 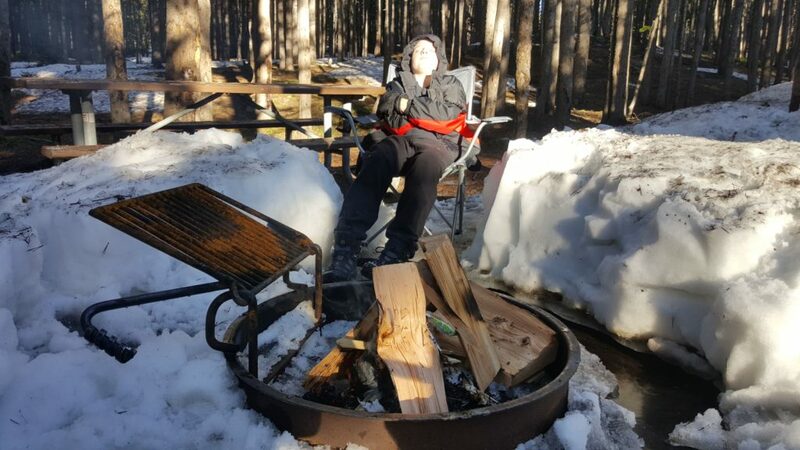 We tried making a campfire but failed because there was too much snow in our fire ring! 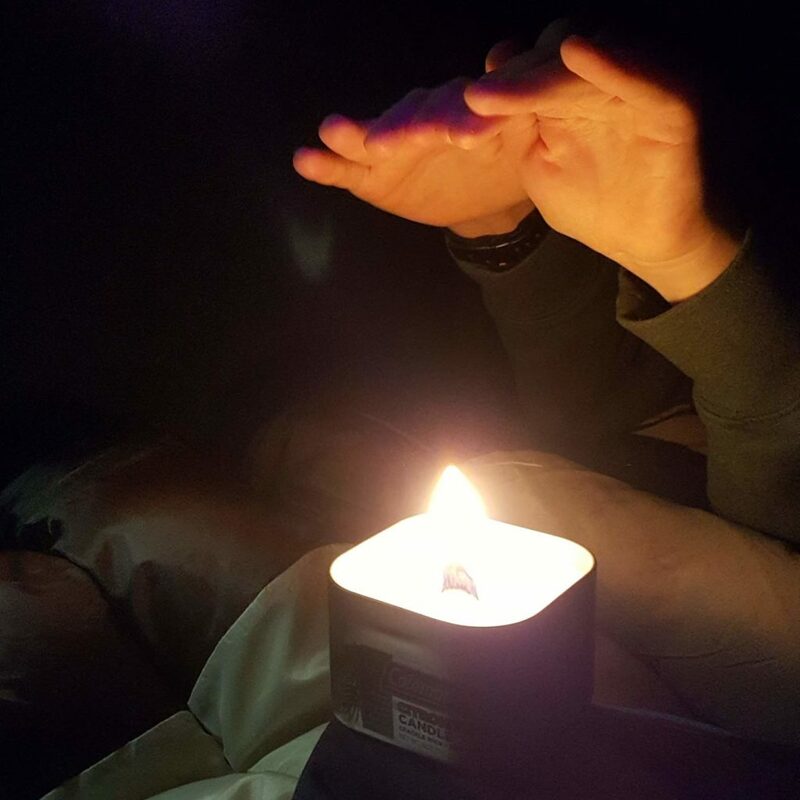 We warmed our hands over a small candle before going to sleep in the rooftop tent. This one was my favorite, so pretty! 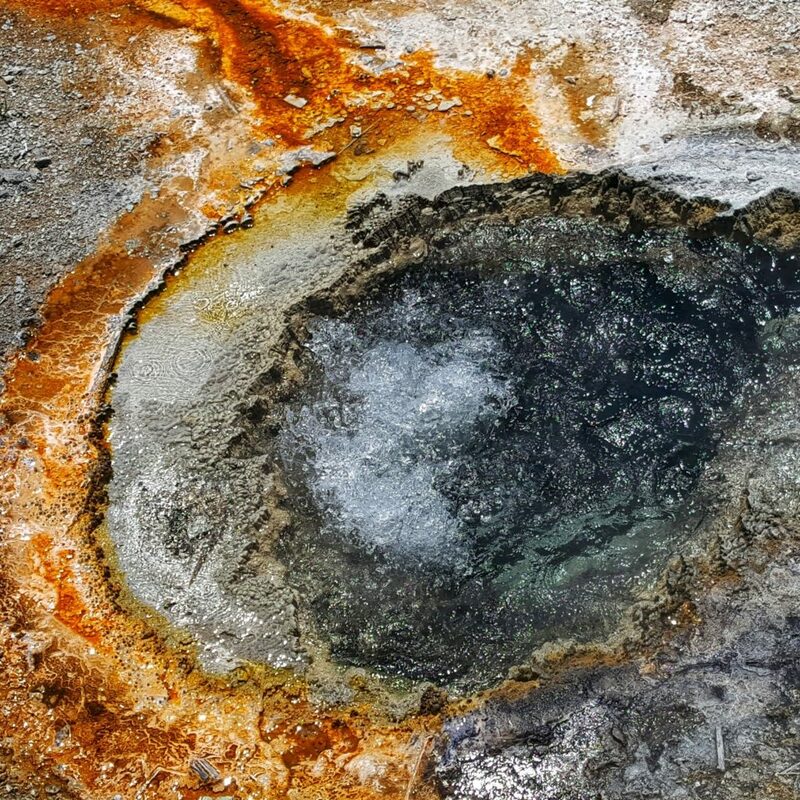 189 degrees F, too hot for microbes to survive – that’s why it’s so crystal clear. Note the sandals Jacob chose to wear, instead of the $200 hiking shoes that I bought him specifically for this type of trail. I’m still bitter about that, can you tell? 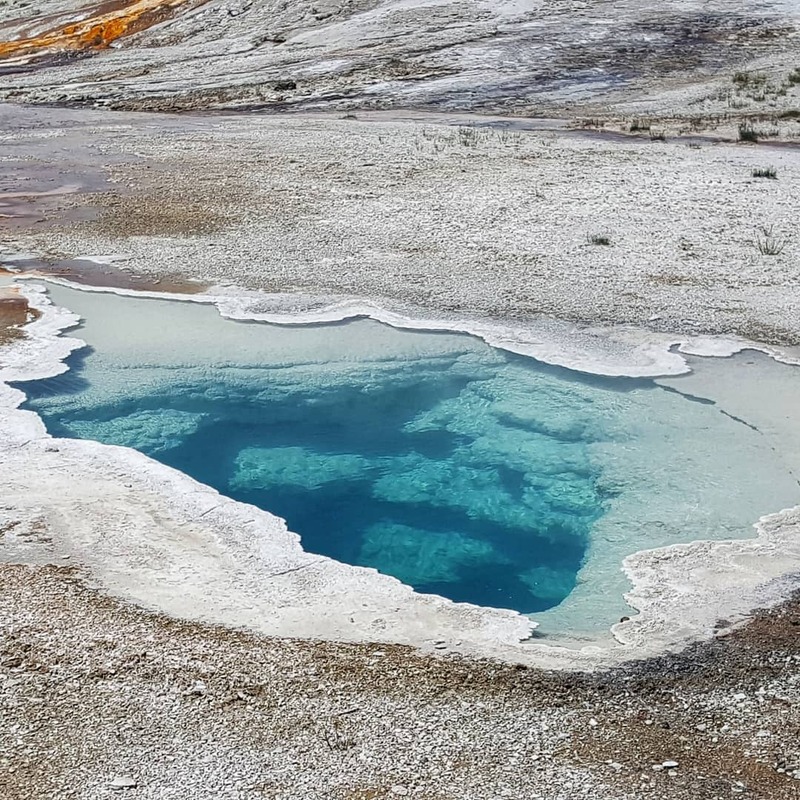 All in all our quick trip to Yellowstone was definitely a memorable one. The park is beautiful, and everything is larger-than-life. 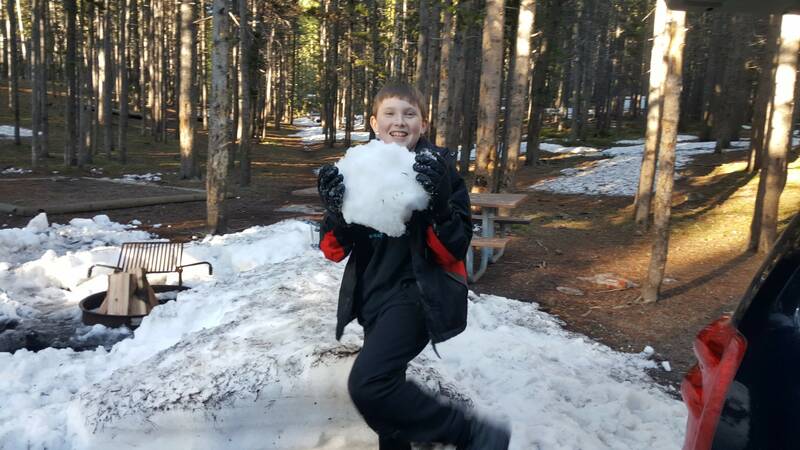 The canyons, rivers, forests, hot springs, and geysers were amazing, and we loved seeing all the wildlife. 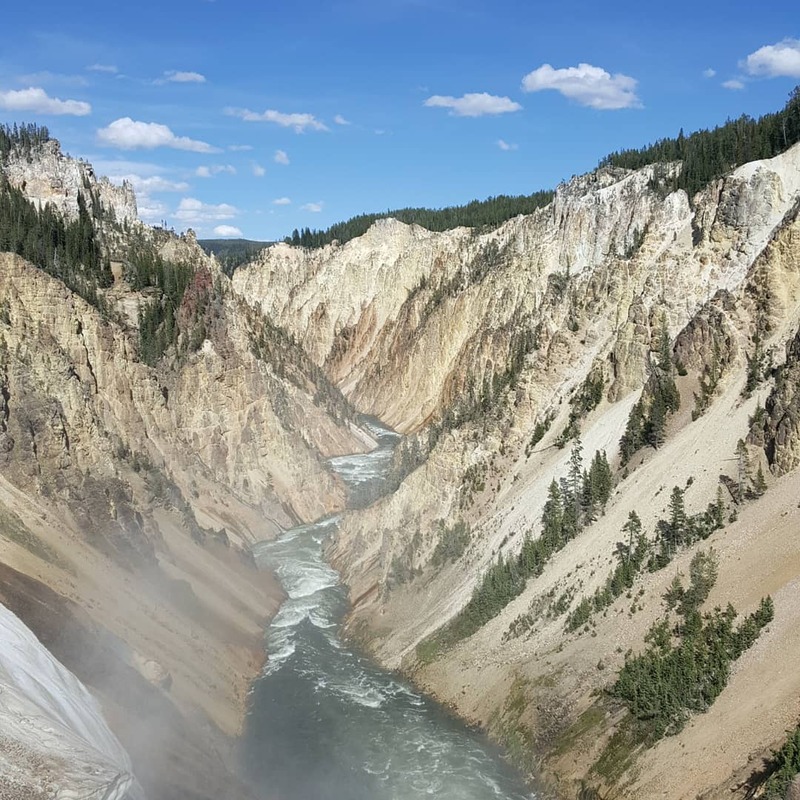 Yellowstone gets over 4 million visitors per year, but the park is so vast that it was really only noticeable at the most popular spots like the geysers and waterfalls. 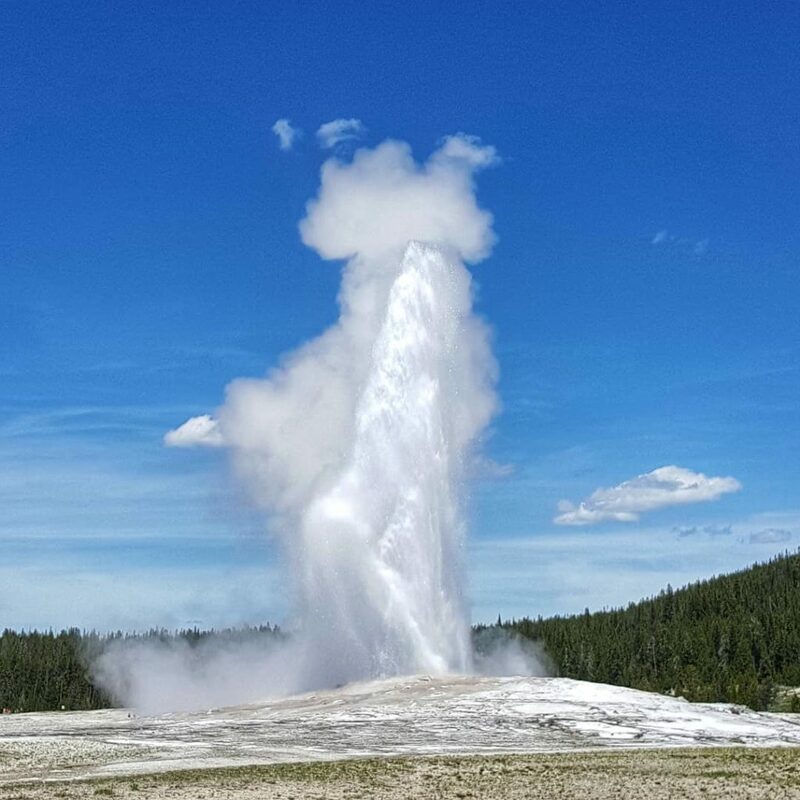 I have no interest in seeing Old Faithful again, but I would definitely come back to explore the 90% of Yellowstone that we didn’t have time for this trip. The next morning we headed to Battle Mountain, Nevada – our half-way point to June Lake, California. Yellowstone was covered in a blanket of fog as we drove out, it was really beautiful. 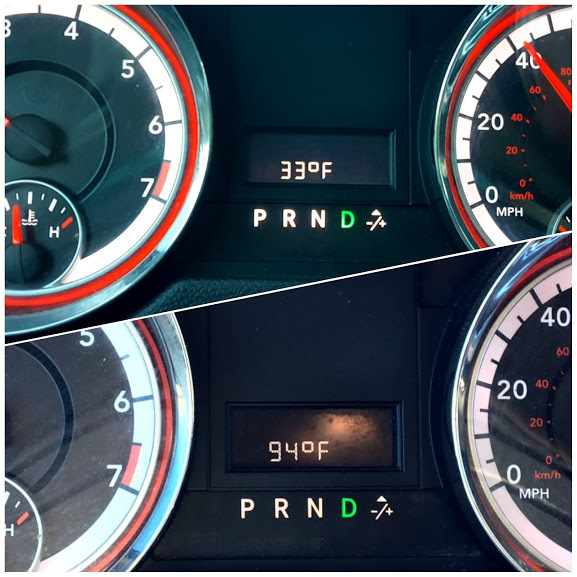 Check out the temperature difference between Wyoming and Nevada – this was just in a few hours of driving – wowza! This weird thing that Jacob does while we’re driving. This stretch of the trip was long, flat, and boring. We listened to several podcasts, and Jacob took many naps. 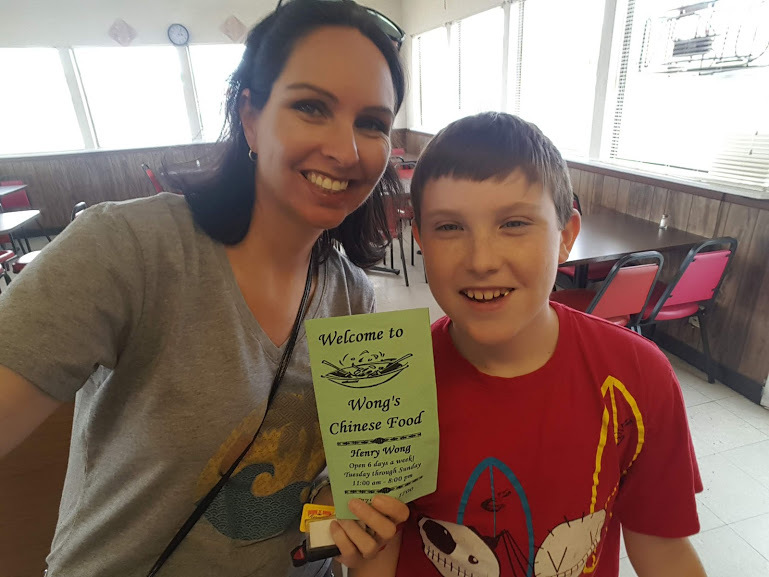 We stopped at Wong’s Chinese Food in Hawthorne, NV and it was the best Chinese food I’ve ever had in my entire life. 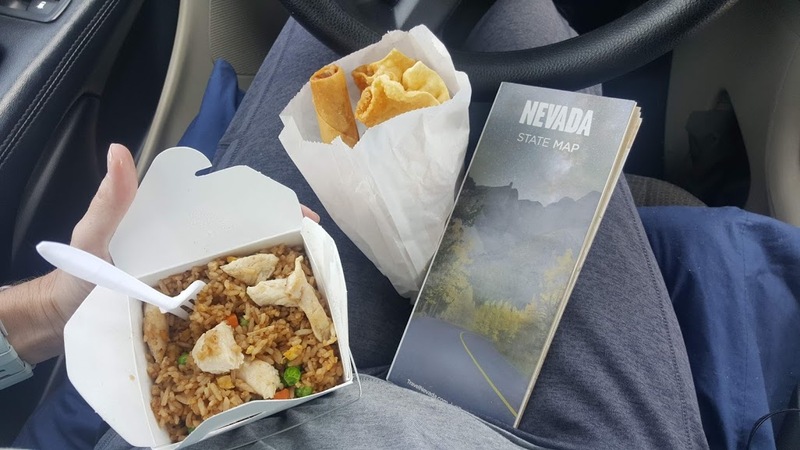 I HIGHLY recommend it, so next time you’re in the middle-of-nowhere Nevada, be sure to stop in! 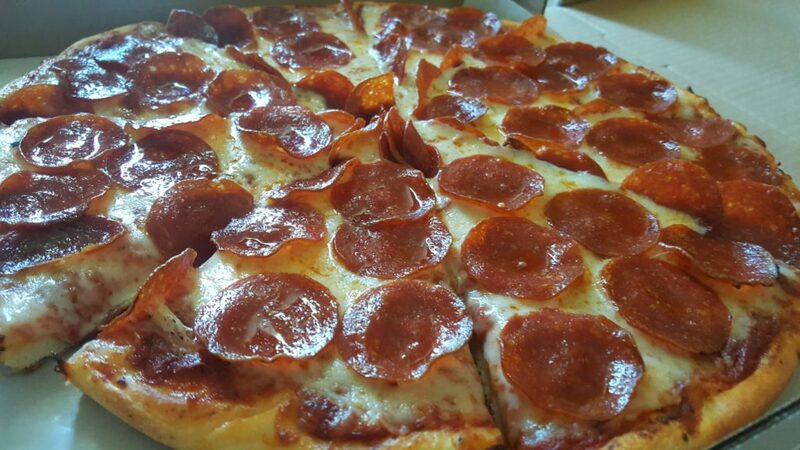 Our night at the hotel in Battle Mountain was uneventful, we got a greasy but delicious pizza from Mama’s Pizza and settled in for a good night’s rest. 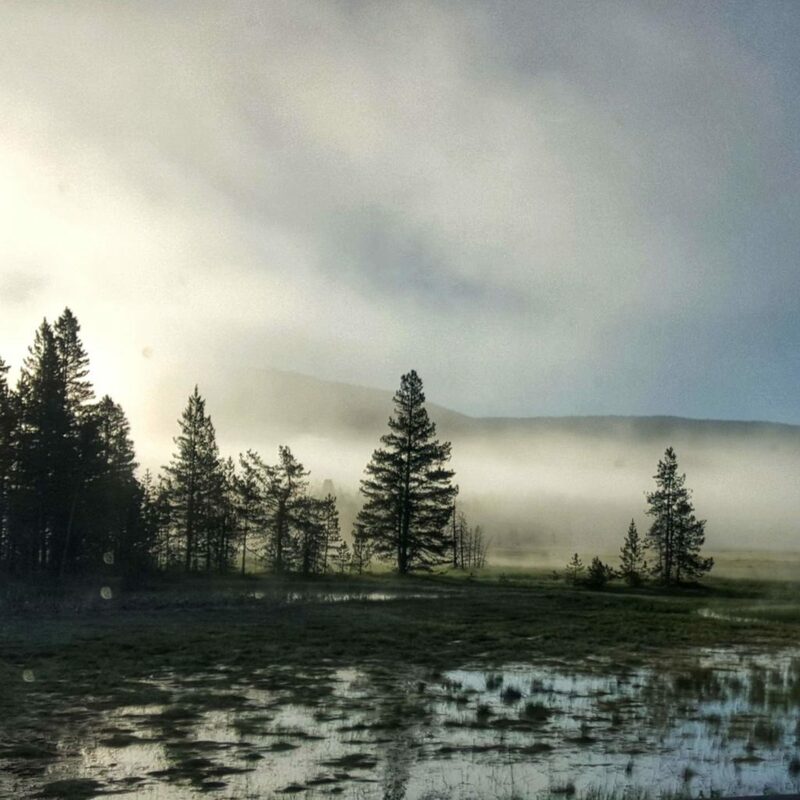 Next stop: June Lake, California! 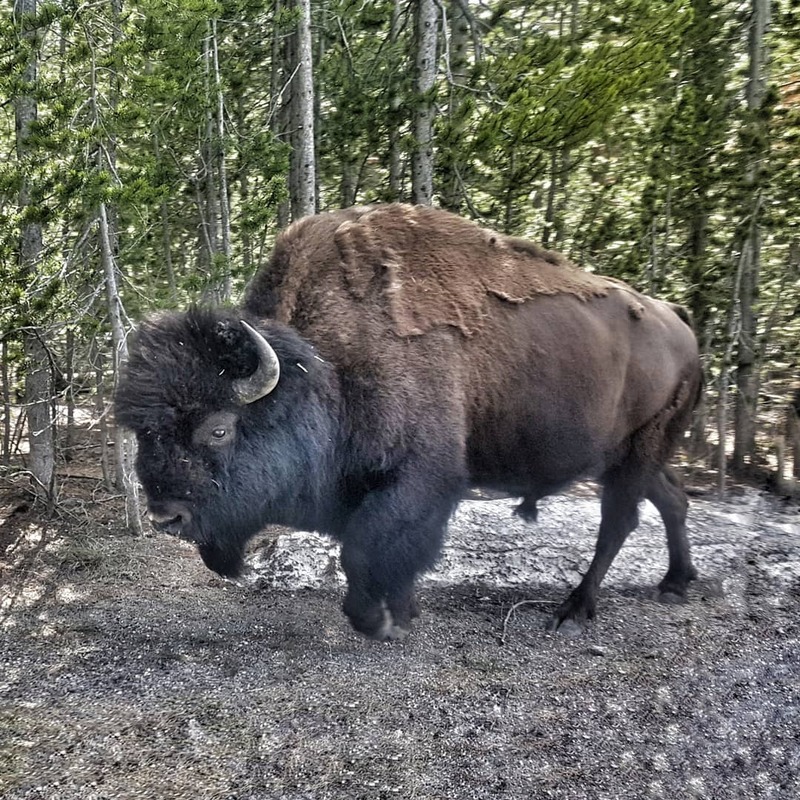 This entry was posted in Camping, Family, Hiking, Kids, Outdoors, Parenting, Photography, Travel and tagged Battle Mountain, Bison, Casper Wyoming, Lower Falls, Old Faithful, Waterfall, Yellowstone, Yellowstone National Park by Lori Griffin. Bookmark the permalink.